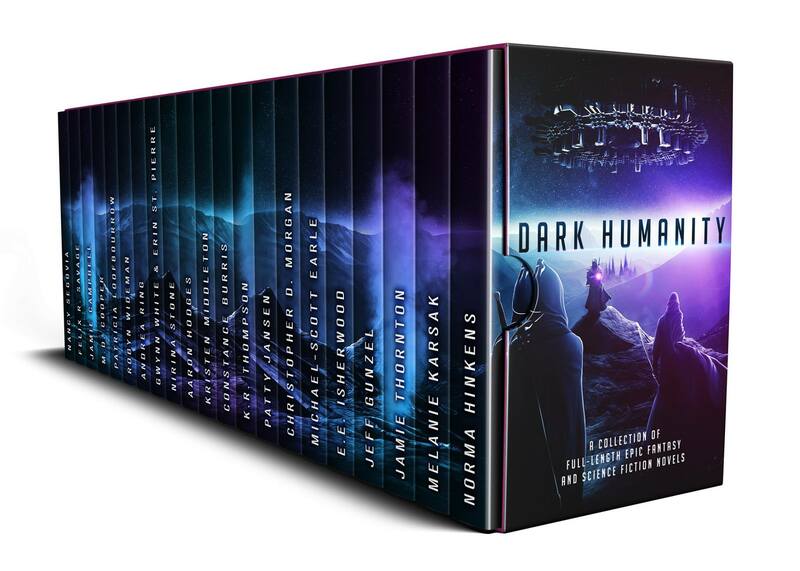 Did you grab the 20+ Science Fiction and Fantasy stories inside the Dark Humanity box set yet? If not, act soon–the Dark Humanity box set will go away forever in a few days. Every story inside Dark Humanity is currently exclusive to this collection and cannot be read anywhere else online. In a few days the authors will be pulling down the Dark Humanity box set forever. Many of the stories inside might be published again separately, but this is the last chance to get these 20+ stories for a total price of $2.99 (or FREE in Kindle Unlimited). Remember, this is the box set that hit #5 on the New York Times bestseller list, #8 on the USA Today bestseller list, and #6 overall on the Amazon Kindle store. The pages inside Dark Humanity are packed with everything from faeries, dragons, and mysterious viruses to fantastical quests, frozen cities, fearless knights, ancient foes, and powerful enemies from more than twenty Award Winning and New York Times & USA Today bestselling authors! A new YA Sci-Fi book for 99 cents.